Whether you are a leading 5 star hotel or part of a food chain restaurant, we offer de-pesting services at flexible hours address your de-pesting needs instantly, on the spot. We have trained de-pest technicians who meet the stringent quality standards at your facilities. 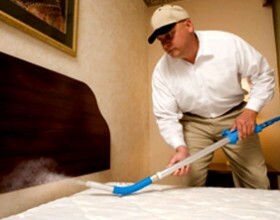 We also deal with pests besides cockroaches and rats, such as bedbugs which cause major discomfort to guests staying at a hotel. Entos De-pest specializes in identifying unusual areas of infestations and treating them effectively with maximum efficacy. Hygiene is quintessential in any healthcare establishment, which is why presence of pests leaves behind a poor impression with the patients. Whether it is cockroaches, bed bugs, rats or mosquitoes, patients are exposed to numerous threats like dysentery, diphtheria, typhoid, hepatitis, food poisoning, gastroenteritis, malaria, dengue, chikungunya etc. 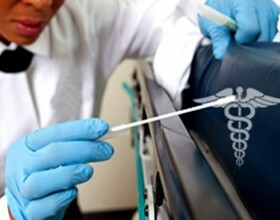 Pests can act as carriers of diseases and infect the disease suffered by one patient to another. If not treated regularly it threatens to affect the health of staff & patients and eventually the whole business. Entos De-Pest gathers its forces and wages war against pests with all its might, de-infesting them completely. Corporate sectors are very particular about providing healthy and clean surroundings for their employees. This leads to employee satisfaction, which in turn leads to increased productivity. Pests create havoc in many organizations. They infest the dining area, cafeteria and pantry compromising the heath and sanitation of employees in many ways. Similarly, termites can damage valuable documents and expensive woodwork, while rats can destroy electrical and electronic equipments. Corporate facilities with large open areas may experience mosquito and snake issues. Pesky mosquitoes can be lethal to the workforce, especially a migrant workforce as it consists of people from various parts of the country, who may be carriers of different diseases. Mosquito bites aid in spreading those diseases and distract your staff from work, as they spend more time trying to kill mosquitoes. Avoid this scenario with the help of de-pest services and ensure that only applauses are heard in your offices. Entos De-Pest provides innovative pest control services to construction companies and construction sites. The nature of construction sites make them susceptible to pest infestations, usually by termites, mosquitoes and rats. In the case of termites, preventive de-pest measures are taken during the pre construction phase and when it comes to mosquitoes and rats “de-infestation” is done to prevent disease transmission. 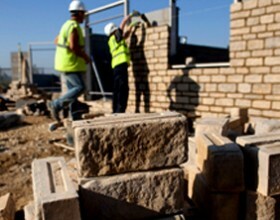 Migrant workers form a majority of the work force in the construction sector. Studies show that the threat of communicable diseases amidst a migrant population is much greater due to various factors – unhygienic surroundings being one of them. This is where Entos De-pest steps in and prevents the spread of communicable diseases with tailor-made de-pest services, saving a lot of trouble for you.